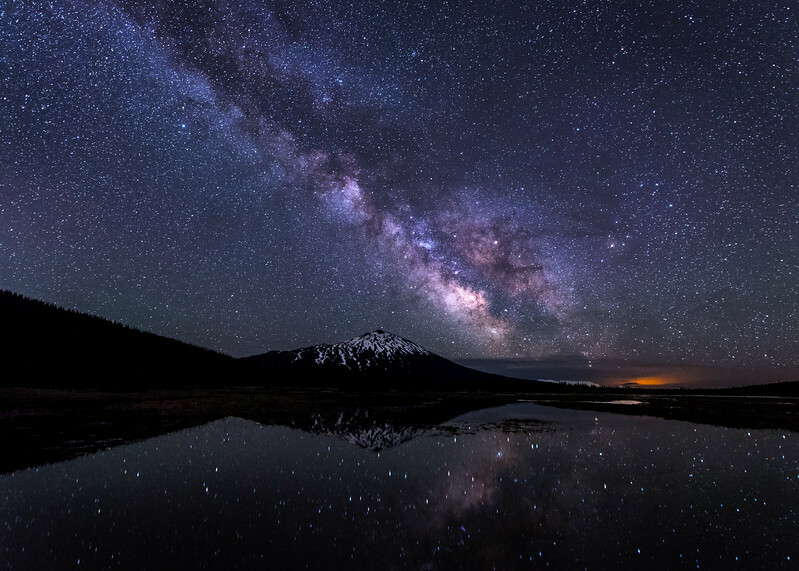 Milky Way arching over Mt Bachelor. The water forms only briefly from runoff from the Three Sisters and Brokentop peaks. Within a week the water dries up.